A coffee ale with a touch of cream. From John of Adelaide, Australia on 3/5/2018 . Gave it as a gift, and it was in instant hit. From Nancy S of Asheville, North Carolina on 11/23/2017 . 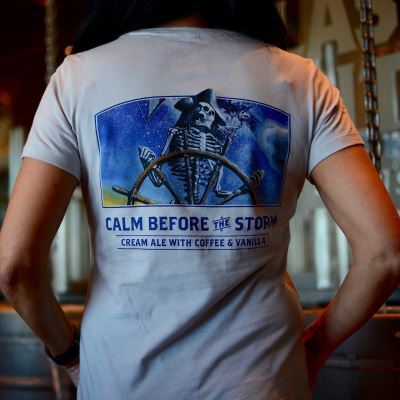 Started digging the Ballast Point shirts after a trip to the Little Italy brewery. Got this shirt after I got back home. Very comfy. Get lots of compliments! From Anonymous of South Beloit, Illinois on 1/19/2017 . 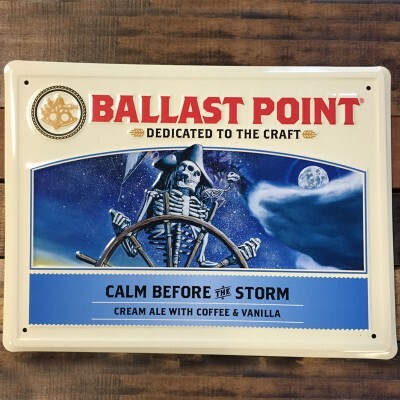 My wife and I had just tried Ballast Point's Calm Before the Storm on a recent dinner date. She loved the beer. I visited your site the next day, found the t-shirt, made the purchase and it was delivered two or three days later. She loved the shirt almost as much as the beer.